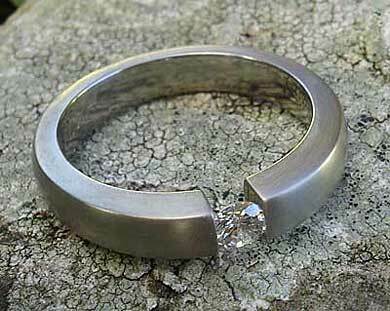 0.25ct (1/4 Carat) Titanium Engagement Ring : LOVE2HAVE in the UK! 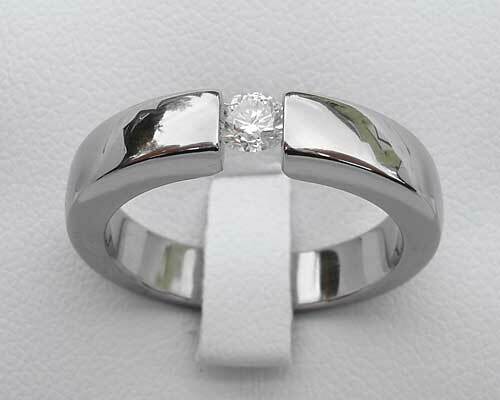 A 0.25ct (1/4 Carat) titanium engagement ring that is tension set with a sparkling white diamond. 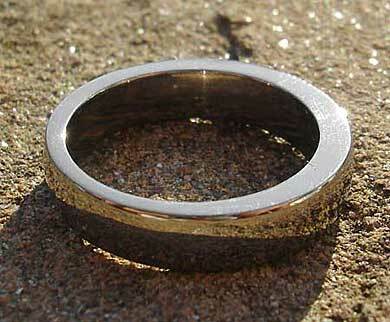 The width of the ring is only 4mm which therefore makes it a fantastic titanium engagement ring choice for her. It comes with a polished or a satin finish and a plain titanium ring with the same tapering is available as a perfect matching wedding ring. Please email us for further details regarding the pricing of the plain version. Rather than a uniform wall thickness entirely around its outer, this engagement ring tapers from approximately 2.5mm where the white diamond is tension set, to1.5mm on the bottom edge. The diamond colour is H, and the clarity is SI, so therefore it sparkles. Precious stone(s) Available: 1 x 1/4 carat white diamond.